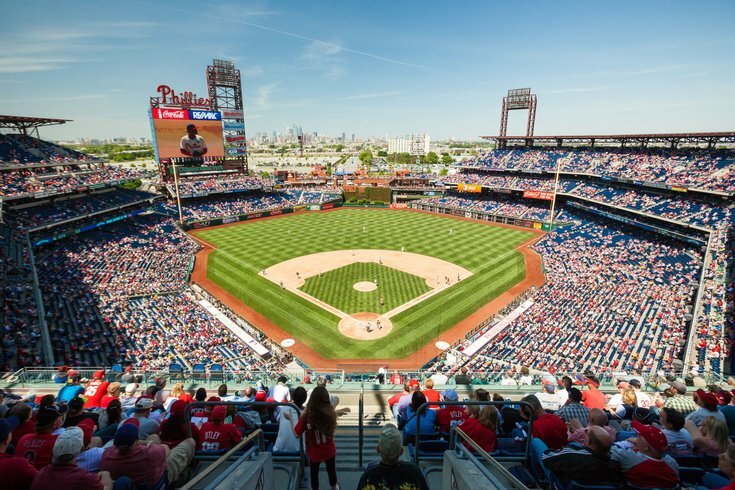 Fans take in a game at Citizens Bank Park. The Philadelphia Phillies will be a team in transition in 2018 as new skipper Gabe Kapler brings a focus on analytics to the clubhouse. There are also big changes coming to the radio booth. Phillies Hot Stove rumors: Alex Cobb, Christian Yelich and ... Cole Hamels? It's been known since the end of last season that longtime Phillies broadcaster Larry Andersen, now 64 years old, would scale back his duties in 2018 in order to devote more time to his personal life. The assumption has been that Andersen will stick around for the 81 games at Citizens Bank Park, remaining in the booth with Scott Franzke. We now have confirmation of that plan and an announcement that a platoon will be put into effect for the road schedule, according to the team and MLB.com Phillies beat writer Todd Zolecki. Phillies hire Kevin Frandsen, Kevin Jordan and Kevin Stocker to their radio broadcast team. They will rotate working road games alongside Scott Franzke. For those who don't remember, LA requested a reduced role in 2018. He will be broadcasting only home games at CBP. This makes things easy for Franzke, who can just say "Kevin" on any given night and always be correct about his broadcast partner. Frandsen is a former infielder who played with the Phillies in 2012 and 2013. Jordan played his entire career for the Phillies in the infield from 1995 to 2001. Stocker, a shortstop, played for the Phillies from 1993 to 1997. The Phils' first full-squad workout for spring training will be held Feb. 19 in Clearwater, Fla.